Michal Dziekan sent us this self generated illustration today, wishing us a happy holiday season and apocalypse. 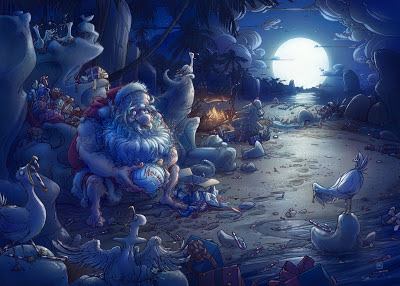 We just love all the details in this hilarious illustration (check out the bird choking on a candy-cane). Michal, you are awesome.